1. Is this one of those get rich quick websites selling a book or CD’s that claim to make people wealthy overnight? No, there’s absolutely nothing for sale on this website and I personally don’t support the idea of trying to get rich quick. 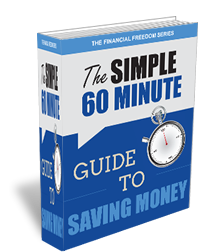 I got rich slowly by following timeless money principles that are available to everyone for free at their local library. 2. If you’re not selling anything, then why are you doing this? It’s my way of giving back and to do my part to help change the state of personal finance. In America alone, 53% of the population retires with less than $25,000 in retirement savings, 49% could not cover one month’s living expenses if they were to miss a paycheck and over half of the country carries some form of consumer debt. On the road to success, I benefited tremendously from people who were kind enough to share their knowledge about money and investing with me and I want to do the same. 3. Is it true that you’re donating the majority of your wealth to charity? Yes, I am donating the majority of my wealth to charity in my will and I’m encouraging others to do the same. I founded the Give Back Promise (www.givebackpromise.com) for this very purpose. The Give Back Promise is a place where the world’s richest people promise to donate the majority of their wealth to charity. 4. 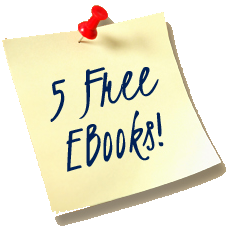 Why do I have to subscribe to get your newsletter and all the free e-books? 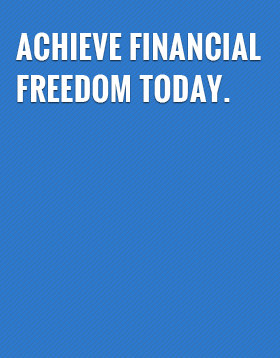 One of my goals with this blog is to create a community of people that are interested in financial freedom. When you subscribe, you become part of that community. 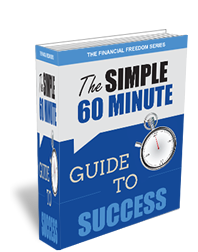 The newsletter and e-books are just my way of providing additional content for people in the community that want even more information about achieving financial freedom. If subscribing is not your thing, no problem. You can get the vast majority of content on the blog without ever subscribing. Also, if you do subscribe and then later change your mind, unsubscribing is easy as clicking a button. 5. You mention that you’ve built wealth through investing. What type of investing? I invest in stocks and specifically I use the same value investing approach made famous by Warren Buffett, which is investing in quality companies for the long term. 6. 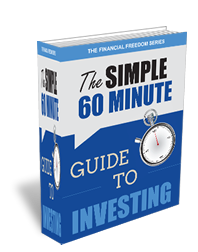 Do I have to become a stock investor to become financially free? No. It’s just what made the most sense to me. There are many ways to build wealth – stocks, real estate, and having your own business just to name a few. Each one has its advantages and disadvantages. I would recommend choosing one style of investing that best matches you and then learn everything you can about that style. 7. Can money buy happiness? No, but neither can poverty. Money is not the thief of happiness. Servitude is. 8. Do you think that the average person should hire a financial adviser? That’s really a personal decision that I can’t answer for anyone. There are a lot of good, quality advisers out there. However, I do believe that the average person can be successful managing their own money and investing, if they’ll put the work in to educate themselves on how to invest properly. Remember, having a financial adviser is not a cure for financial illiteracy. Bernie Madoff “advised” thousands of people who today probably wish they had taken a more active role in managing their own money. 9. Most of your blog posts don’t relate to actual investing techniques. Why is that? I believe that building wealth is 85% mental and 15% mechanical, so the blog posts are more weighted to the mental part of building wealth. Building wealth has much more to do with having the right temperament, habits, and discipline than any specific investing technique. 10. Do you offer personal financial advice? No, I share everything I know on the blog and on my podcasts and don’t provide any one-to-one financial advice. 11. 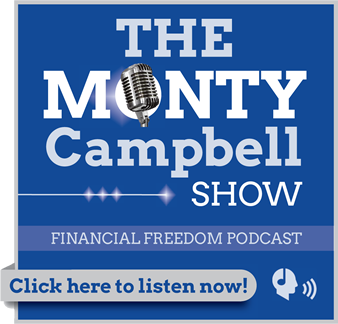 Is it really possible for everyone to become financially free? Yes, provided they’ll do the work and have the necessary discipline to get there. 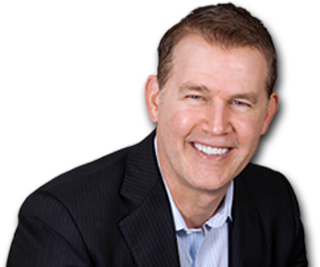 I started off in a low-income family and built my way to wealth. There’s countless stories of other people with even more austere beginnings that have built considerable wealth for themselves. 12. If it’s so easy, then why aren’t most people financially free? It’s not easy. It takes work. I think the majority of people simply spend beyond their means and then have to rely on high-interest credit cards to cover the gap. Overspending on houses and cars alone, sets off a chain reaction of overspending that buries most people financially for years. 13. I’ve always been told that money makes people mean and greedy. Is that true? No. Money just makes you more of who you already are. If you are mean, having more money will just give you more ways to be mean. If you’re kind, more money will help you to be even more kind. 14. Is a home the best investment? I don’t think a home should be looked at as an investment. I think it should be looked at as an expense and as a place to live. Home values can certainly increase and they do tend to hold their values well over time. However, as we saw when the real estate bubble burst, home values can also decrease. This doesn’t mean the people shouldn’t own homes, just that they should see them primarily as an expense. 15. 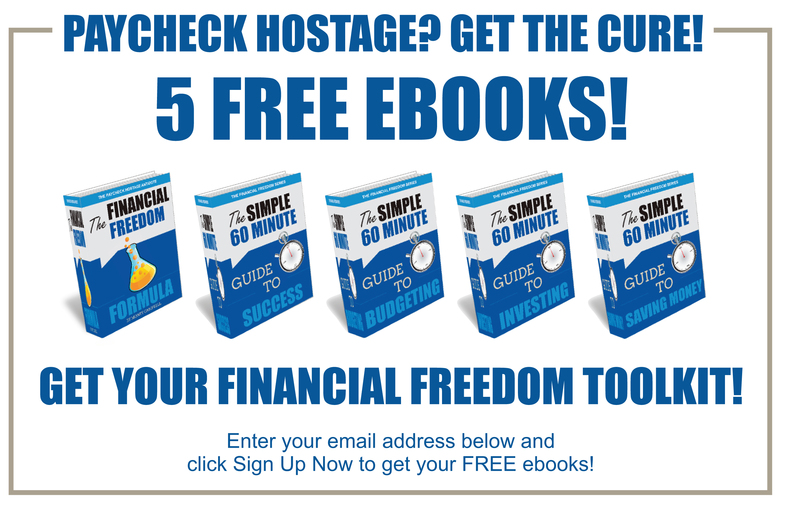 Do you believe you can save your way to financial freedom? It’s possible, but I think a better plan is to play both defense (increasing savings) and offense (increasing income). Saving is vitally important, but you can only save so much. It’s best to find ways to also increase your income through investing or starting a business. Living below your means is a good idea, but it should always be accompanied with the intent to expand your means. 16. 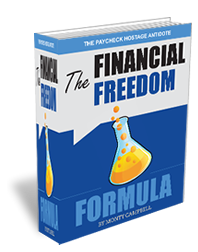 In your blog posts and in the Financial Freedom Formula ebook, you talk a lot about “demanding” financial freedom. What’s that about? I think to achieve anything worthwhile requires a person to first believe down deep that they can actually do it. In my experience, it has to be something stronger than a wish, dream, desire or goal. It has to be something that they absolutely require of themselves. Once they do that, anything is possible. 17. Why do you put so much emphasis on reading to be successful? Reading was the ticket out for me. It’s was the closest substitute I could find to being personally mentored by someone like Warren Buffett. There’s an old saying that “success leaves tracks”, which is so true. There are literally thousands of books written on success and wealth and there’s nuggets of wisdom in the vast majority of them. I didn’t invent anything new. I just connected the dots from everything that I read about wealth and investing. 18. It takes money to make money right? No. I see a lot of people when starting a business spend money on things that don’t matter – furniture, glossy brochures, etc… You could start a dog walking business just by knocking on doors in your community. You could even use the owner’s leash, so you don’t have to buy one! I believe everyone has a talent that they could use to make money. It takes action and knowledge to make money. 19. You often talk about the importance of saving, even in small amounts. What’s the point in saving only $5 a month? The point is that your developing the habit of saving. The habit of saving is as important as the amount your saving. I think a person is fooling themselves if they think that they’ll start saving once they make more money. 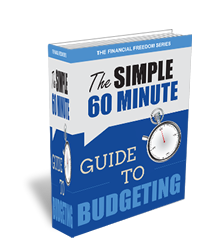 In my experience, someone who doesn’t manage $5 well won’t manage $50,000 well either. 20. All my life, I’ve been told that money is scarce and doesn’t grow on trees. Is that true? No, there’s no shortage of money. However, there is a shortage of people that have the courage, attitude and discipline to go out and make more money for themselves. 21. How do I get in touch with you if I want to interview you or have you speak to our group? Click here to send an email and someone will be back in touch with you.